As you lift off the 1 hour adventure flight begins! 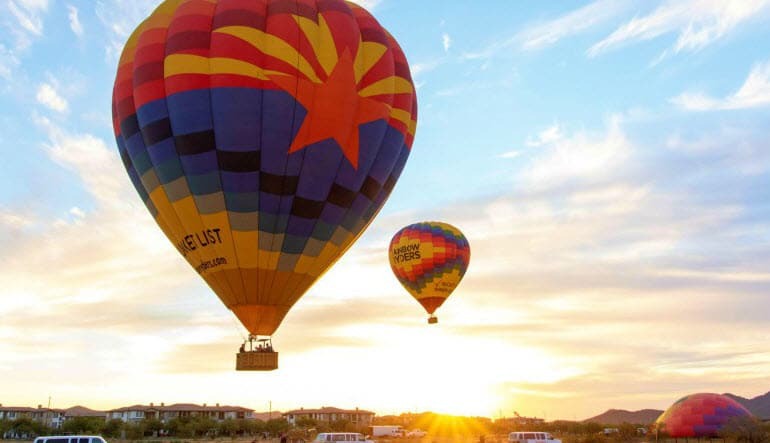 You will experience magnificent views of Sonoran Desert and the unique Southwestern terrain as far as the eye can see. Sunset flights are only available November through March. You will meet about 2 hours before sunset and hop in the chase vehicle with the pilot and crew and head to the launch point. From there the pilot will begin to inflate the balloon, which is a fun process that you can help out with. Remember to bring your camera because there will be plenty of chances to take some amazing photos. Once your pilot finds a safe landing site, the basket will slowly descend and softly land where the chase vehicles and crew will be waiting. The fun is not over yet though, you will partake in a ceremonial toast celebrating a safe flight and to cap off the wonderful experience you shared with your friends and family. Wonderful experience for my children, grandchildren and me! Know none of us will ever forget. Memories! I feel like most of the adrenaline was at the time of signing up. Once I got there it was very relaxing and couldn't wait to climb into the basket and get airborne. It was everything and more than I expected. Most fantastic ride in Phoenix! Our pilot, Craig, was simply the Best!! 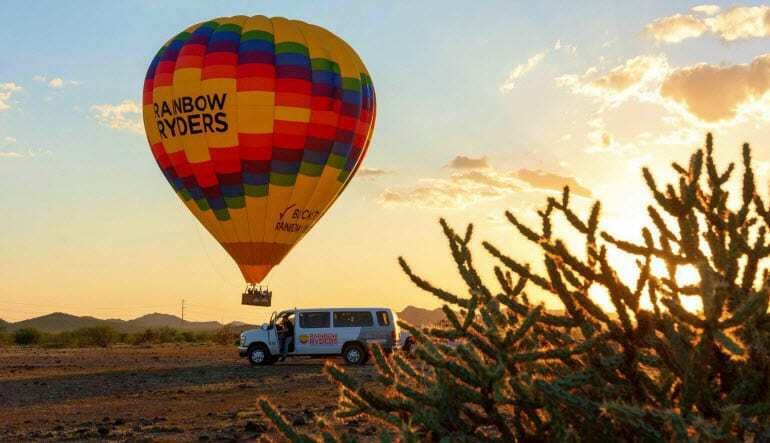 We loved every minute from inflating the balloon to floating across the gorgeous Sonoran desert, to the beautifully set table and champagne toast at sunset. We require a 48 hour cancellation notice. Late cancellations or “no shows” are no refund. If your flight is canceled due to inclement weather, there will be no charge. 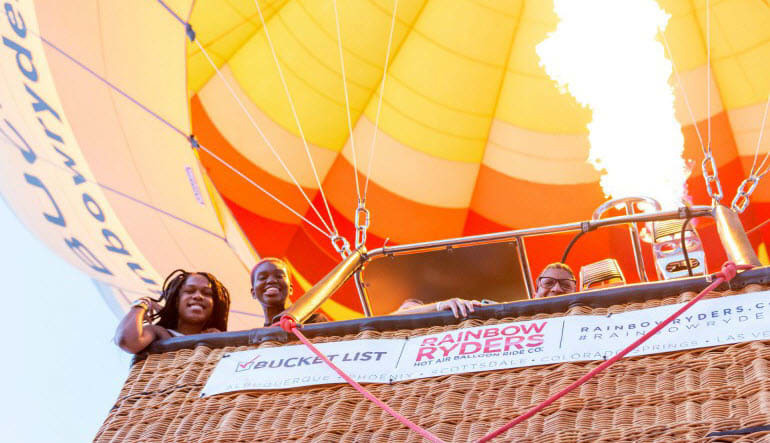 We will do our best to reschedule your balloon ride to another date. The baskets do not have seats so you will need to stand the entire duration of the flight (about an hour).